I hope you’re enjoying the beautiful summer! Today I made a deliciously simple salad. Best part? No cooking involved! The recipe is ridiculously simple and zero effort. I think it took about 3 minutes to throw this together. The hardest part was opening the can and rinsing the beans. Wash, dry, and shred lettuce. 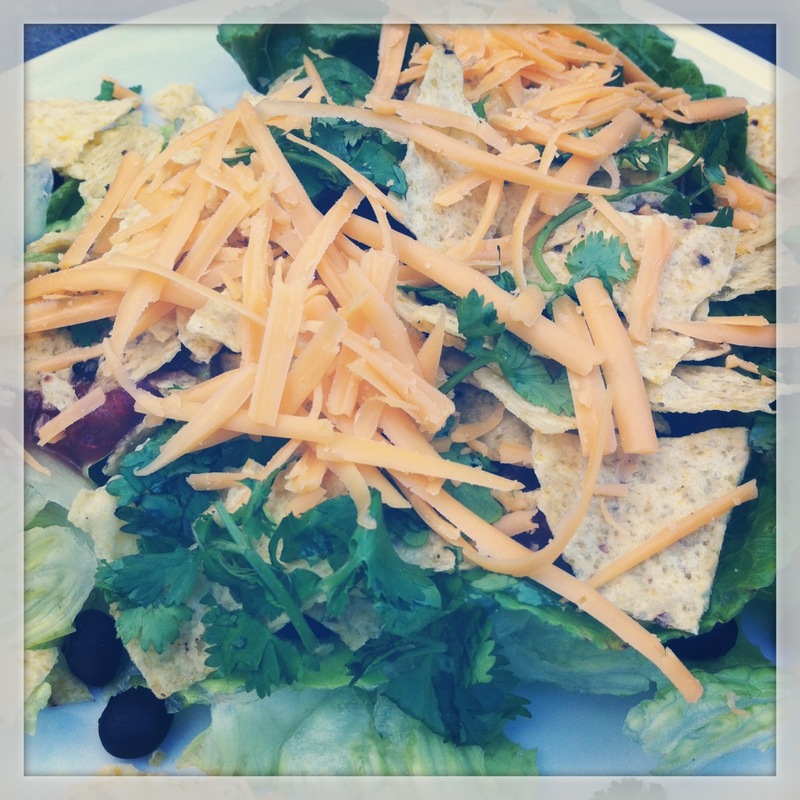 Assemble your salad (lettuce, beans, salsa, crumbled chips, cilantro). Like I said, this recipe isn’t difficult by any means. So simple to assemble but it tastes great. The original recipe calls for making salsa dressing and serving the salad with guacamame (guacamole made from edamame) but I didn’t do that. Regular salsa worked just fine for me! I’d also like to add that this recipe is deceptively filling. The black beans add a good punch of protein and fibre which makes it more filling. I also made my salad a bit bigger by using more lettuce than called for (2 cups instead of 1 per person).